Jon Faddis, born on July 24, 1953 in Oakland, California, is an American jazz trumpet player. Upon his first appearance on the scene, he became known for his ability to closely mirror the sound of trumpet icon Dizzy Gillespie, who was his mentor along with Stan Kenton trumpeter Bill Catalano. However, Faddis had the ability to play controlled melodic lines in an even higher register than Dizzy. After playing with Charles Mingus and the Thad Jones/Mel Lewis band he became a noted studio musician in New York, appearing on many pop recordings in the late 1970's and early 1980's. In the mid-eighties, he left the studios to continue to pursue his solo career, which resulted in albums like Legacy, Into The Faddisphere and Hornucopia. As a result of his growth as a musician and individual artist, he became the director and main trumpet soloist with the Dizzy Gillespie Alumni Band and eventually the Carnegie Hall Jazz Band. In 1999, Faddis released an album entitled Remembrances which was composed almost entirely of ballads and featured work from Argentinian composer/arranger Carlos Franzetti. 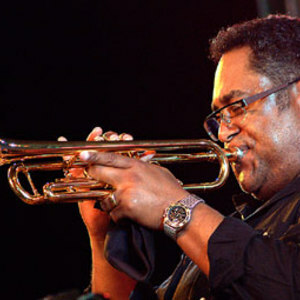 Jon Faddis is currently the artistic director for the Chicago Jazz Ensemble in Illinois. The Jon Faddis Quartet released the CD Teranga in 2006 on Koch Records. Faddis is a first call lead player in New York City and has an international reputation for his playing ability in the high range of the instrument. Alongside his playing career Faddis is a noted educator for jazz and the trumpet as well as a performing artist/clinican for Schilke Trumpets of Chicago, Illinois. Faddis performs on a Schilke S-42L trumpet of his own design. John Faddis currently teaches in Stonybrook, NY and often times will bring students along to his gigs and allow them to sit in.